First president of Ukraine Leonid Kravchuk says Russia only liked Ukraine as long as Kyiv "lay beneath" Moscow, according to an UNIAN correspondent reporting from an international round table in Kyiv. Leonid Kravchuk suggested looking carefully into the influence Russia has been exerting on Ukraine. "Russia has been fighting for 150 years. It has created the war intelligentsia, the intelligentsia of pressure. They know nothing else. They loved Ukraine as long as Ukraine was lying beneath them. As soon as it [Ukraine] got up on its feet and said it would go the other way, Russia began to think of ways to strangle us," Kravchuk said. "Everything used to go smooth: Russian cadres, [pro-]Russian policy, and we keep obeying... And suddenly Ukraine said 'No' – choosing to go toward Europe. So you’re going to Europe? We will not let you go. But why are we fleeing away from Russia? Is it Ukraine to blame for this? We are fleeing because they have been hitting and killing us," he said. At the same time, he expressed belief that everyone understands that "our lives are being taken because we want to live in a different way." 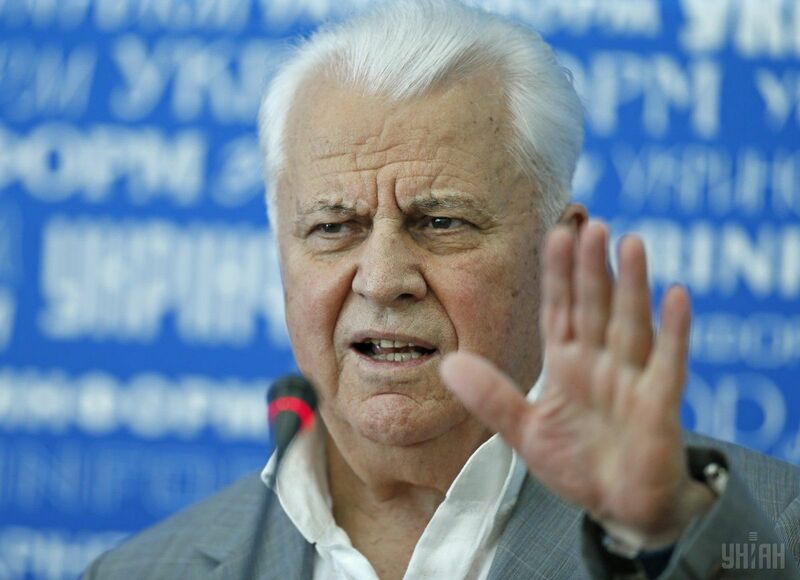 Read alsoUkraine breaking away from Moscow due to Russia's futility – Kravchuk"And those governments that support us do not understand everything. Some of them are afraid of Russia, frankly speaking, they are afraid not to spoil relations with Russia. But I tell them: today it’s us, tomorrow it’s you. Stop! Russia will not stop. It won’t stop," Kravchuk added. "I had the opportunity to communicate with many Russian figures, starting with Chernenko, Andropov, Gorbachev, Yeltsin, etc. They are all the same. Someone is a bit worse, someone is better. But the main thing is that they all believed Ukraine should be with Russia. Not to let it go but hug it to death. This is the main issue of Russian life today as well," the former president said.